There are two ways this can happen. 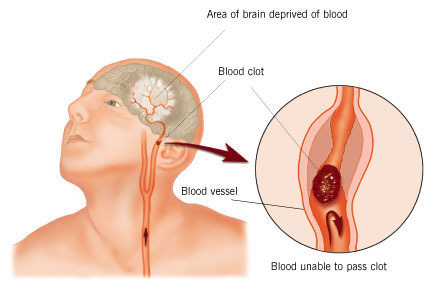 The first is when a blood clot blocks a vessel delivering blood to the brain. The second is when a blood vessel bursts and blood spills out onto the brain. In a few cases there are no symptoms. Some people may not realize that they are having one. The symptoms may occur sporadically or appear progressively. Some of the minor and major signs include the following. The first is a feeling of lethargy. Some people will feel very sleepy. Others may fall unconscious. In severe cases, the person will have trouble speaking. The thinking process is affected and comprehending others will be hard. Among the other signs are trouble in reading and writing. Headaches will be frequent. Balance is lost. Vision is affected and motor skills are lost. There are several tests that will be performed. A neurological exam is used to determine the state of the brain. An extensive eye test will be done to assess any effects. The arteries will be evaluated for any unusual sounds. 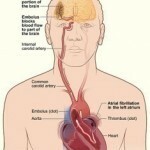 An anglogram is necessary to determine which blood vessel is being blocked or has burst. A complete blood count is also done. Other diagnostic tools include blood clotting tests like partial thromboplastin. An electrocardiogram (ECG) is used to diagnose other possible cardiovascular diseases. An echocardiogram is used to check if the clotting came from the heart. Other tests include a carotid duplex, CT scan, MRI and CT angiography. The first step is to immediately rush the patient to the hospital. Almost always the patient will be required to stay in the hospital. Medication may include thrombolytics. These are used to destroy the blood clots and try to resume normal blood flow. Other forms of treatment are heparin and coumadin. These are used to thin the blood and can stop blood clots. Aspirin can also be used. The accompanying symptoms like high blood and pain are handled with painkillers. Radiologists may also be able to operate on the blood vessel and clear it up. Note: for treatment to work, the person must be taken to the hospital no longer than 3 hours after the illness strikes. There are ways to prevent this disease. Avoid fatty and cholesterol rich foods. The diet should consist mainly of vegetables, fiber rich foods and fruits. Limit the amount of meat, pork and junk food eaten. Maintaining the ideal weight is very important. Exercise is also essential. Workout routines should be at least 30 minutes a day. Overweight people may combine exercise with a weight reduction program. The blood pressure must be monitored. It should be around 120/70. A cholesterol checkup two to three times a year is recommended. The bad cholesterol level shouldn’t be higher than 100 mg/dL. 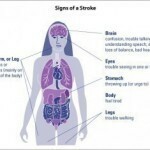 A stroke can be fatal, and some people can be more susceptible to it than others. Those with high blood, diabetes and heart disease are most vulnerable. For this reason, one should be well versed and able to recognize the early symptoms.